Root Advent Candles are crafted with our superior wax blend that allows for a longer burn time. They come in a wide array of sizes to fit any Advent wreath. 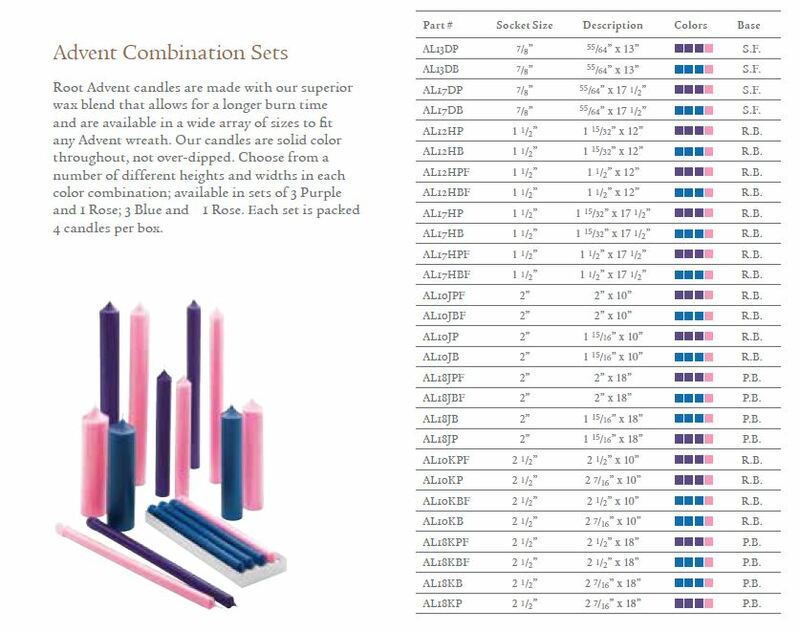 Our Advent Candles are a consistent, solid color throughout, not over-dipped. Select from a variety of heights and widths in each color combination, packed four to a box.